Not sure which China Miéville book to read first? Co-founder of the Kitschies awards, Jared Shurin offers some guidance on where and how to approach the works and worlds of the multi-award winning author. With a four-part tv adaptation of The City & The City airing on BBC Two this Spring, there's never been a better time to discover the genius of China Miéville. But where to start? Jared Shurin, co-founder of the Kitschies awards and editor at geek blog Pornokitsch.com, offers some guidance on where and how to approach the works and worlds of the award-winning, genre-defying author. China Miéville’s books range freely across categories and classifications – epic and urban fantasy, hard and squishy science fiction, crime, horror, young adult and more. He addresses, dances with and ultimately departs from the traditions and expectations of every genre. Although many thousands of words have been written trying to put Miéville’s work into neat buckets, a China Miéville book is ultimately, well – Miévillian. The man is a category unto himself. The City & the City is one of the most awarded books in the history of books - and with good cause. The novel describes two cities that are juxtaposed: politically, socially, culturally, economically and, perplexingly, geographically. An intensely political book, The City & the City is a potent metaphor for anywhere and any time – elevating it into the timeless canon of deeply symbolic works like Shirley Jackson’s ‘The Lottery’ and 1984. It is also a damn good mystery, with a touch of the noir. The City & The City has been adapted into a four-part drama starring David Morrissey and Lara Pulver for BBC Two, and the first episode will air at 9pm on 6th April 2018. If you like reading epic fantasy: something with a proper quest, huge monsters and magic swords – try The Scar. Of course, with Miéville, nothing is taken for granted, from its delightfully non-traditional protagonist (a really grumpy translator) to the high fantasy realpolitik. In The Scar, Mieville constructs yet another amazing city in the floating rebel stronghold of Armada, home to a host of horrifying beasts, an epic naval battle, and, easily the most incredible magic sword in all of fantasy. The Scar is set in the same world as Perdido Street Station, but is a standalone, and both can be read before or after one another. In an alternate World War II, underground Surrealists summon sentient art to battle the Nazi occupiers. Who retaliate by summoning demons. Because of course. The Last Days of New Paris reads like a lengthy session of the greatest game you never played: full of action, spell-slinging, and, of course, monsters. 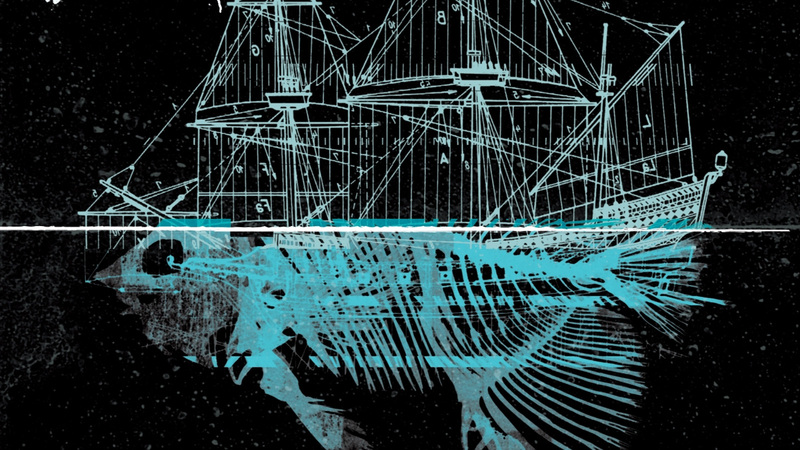 Even as Miéville’s most overtly entertaining book to date, it is still laden with deeper meaning: hiding between the demons and the snipers is a heartfelt belief in the power of art – to liberate, to rebel, and to stand up against oppression. For those who dozed through their Art History classes, an intimate knowledge of art isn’t required, plus, there’s an enjoyable (in-world!) appendix at the end. If there’s any recurring theme to Miéville’s work, it is monsters. Or, the power of words. Or rebellion, or maybe free will. In deference to that last point, I suggest that you start your Miéville journey anywhere you like. Be it any of the novels above, one of the others, his short stories or comics – pick one and dive in. Just watch out for monsters. Get more China Miéville reading recommendations in this special episode of Book Break with guest host, Stevie Finnigan, aka SableCaught.